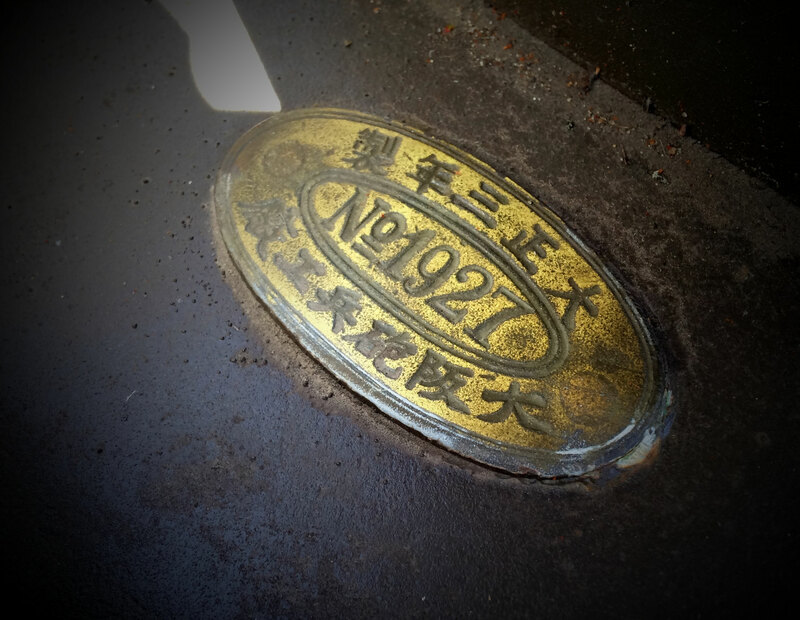 Our Japanese cannon is one of 33 known to be in existence in the world. 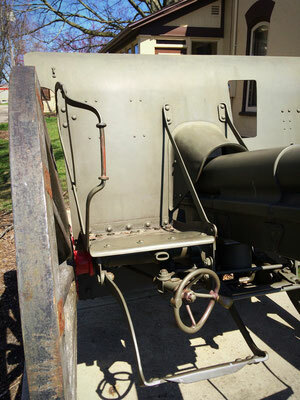 This Type 38 75 mm Field Gun was built in 1927. The museum has the Historical Cannon back in our west yard. The story goes that after WWI, Zeeland was given a cannon that was placed in our cemetery to signify the veteran's graves. Then some years later during WWII, scrap iron was needed for the U. S. Military to make tanks and guns, so the WWI cannon was used for the scrap drive. After WWII this cannon was given to the city to replace the other one. Although not significant for our Military (it's a foreign make) it is a significant part of Zeeland History. During the 1950s and 1960s groups of teenagers had lots of fun pushing this cannon down city streets after dark and leaving it downtown or any place else. Of course the Zeeland Police Department didn't think it was so funny and finally this "city fixture" was fixed down in cement. We're glad it's securely fixed down in our Museum lot and this interesting artifact is available for Grandpas to tell it stories to the next generations. Zeeland's Memorial Day Parade watchers will have the first glimpse of the full restored cannon that was given to the city following World War II. The cannon was recently fully restored by a group of veterans. It has been used in numerous high school pranks, and stored behind the city street garage, but for Memorial Day this year it has been restored to its formal glory. 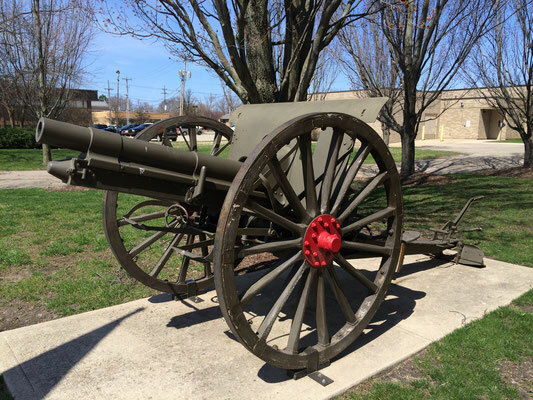 That's right, Zeeland's World War II cannon has been restored to its original condition. Local veterans Tom Curnick, Pierre Jalving, and Don Wiersma did the physical restoration and Lou Verburg provided the research. "We all love the old military equipment. Pierre and I both collect old Army vehicles and we all thought it would be fun to restore the cannon. It was a way to honor those who served," said Cornice. The cannon was originally presented to the city after World War II and was believed to be of German origin. "Prior to WWII the city had an old cannon, but it was scrapped as part of the war effort. The city was promised that it would be replaced after the war," stated Cornick. During the restoration process the men learned, thanks to the assistance of a Hope College professor, that the cannon actually had a Japanese origin and was built in 1927. "It is a Japanese 75 mm Type 38 gun and is one of 33 believed known to be in existence in the world," stated Cornick. "Ours wasn't even known to exist when we began the research. Two are in U.S. museums, 17 are part of outdoor memorials in the U.S., 10 are in foreign museums and four are at battlefields on former Japanese islands." 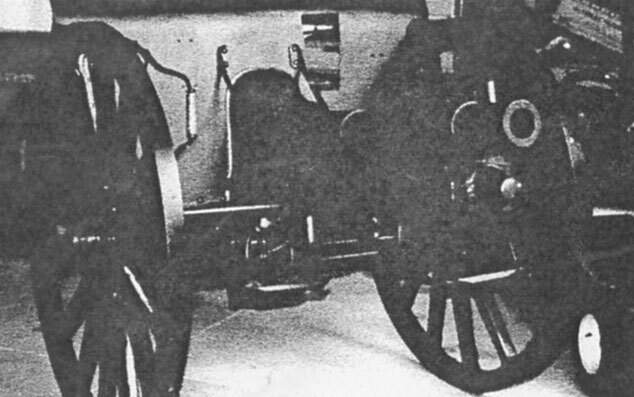 Approximately 3000 cannons were originally made as a Model 1905, but about 400 were converted later to an M38 box-trail standard. "We don't know if this actual cannon was involved in any conflicts. It is believed that this particular cannon was given to the city because a number of Holland and Zeeland soldiers fought in a conflict in New Guinea," he said. Originally the cannon was on display in Zeeland Cemetery and later it was located next to the Dekker Huis Museum where a permanent base was created. During a construction project it was moved and stored at the city garage. 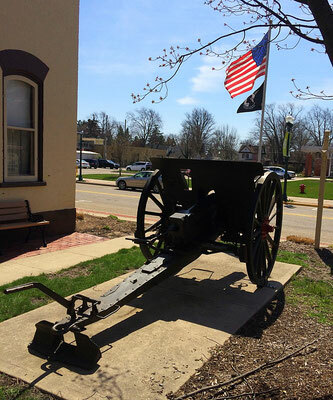 For several years it was a tradition of Zeeland High School students to steal the cannon during homecoming activities and move it to a different location in town. "I want to make it clear, when that started in 1962, I was in the service. I've been accused of participating in the shenanigans, but I was in basic training at the time," stated Cornick. For the past three years the men have been doing the research and they disassembled the cannon to begin the restoration process. Stabilizing rods were soaked in raw linseed oil and scratched to look like real wood to replace the wheel spindles. The cannon then was painted a federal green as was used by the Japanese Army. "For the first couple of years we dabbled at it, but for the past year we have really put our nose to the grindstone to get it completed," he stated. But while the work was often tedious and mundane, they had a higher motivation pushing them to complete the project. "It is a tribute to those that served, some didn't have a choice, others went because they believed in our country. I think it is important to have things like this cannon around, to remind us that many people from our community have served our country so that we can enjoy the freedoms that we so often take for granted," stated Cornick. 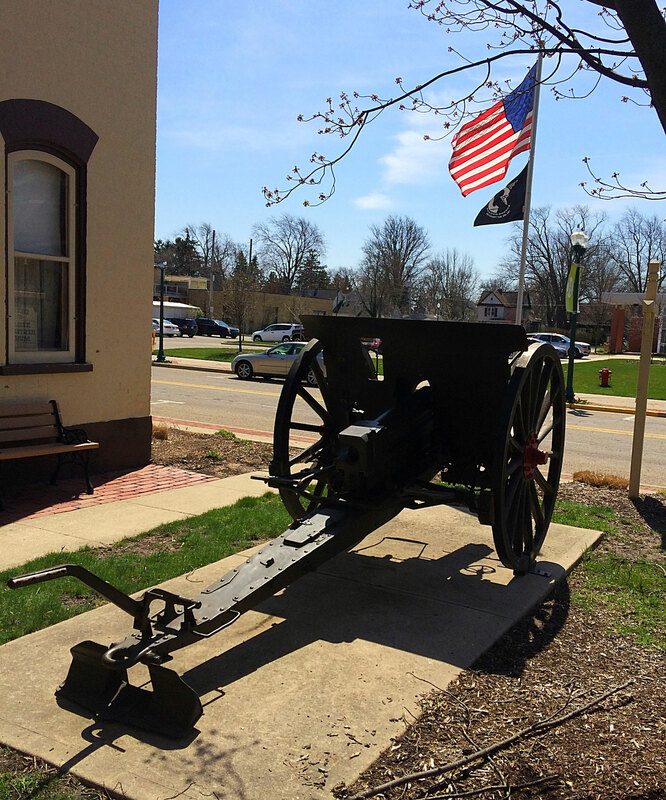 Today, Memorial Day, the cannon will be on display riding a flatbed truck as part of the parade activities before it is return to its permanent display location outside of the Dekker Huis Museum.